Billy O"Brien"s I Am Not a Serial Killer (2016) tells the story of John Wayne Cleaver (Max Records). In this trailer, a teenager is troubled with homicidal thoughts while trying to protect his hometown from a real serial killer . The story is based on the popular best-selling novel of the same name by author Dan Wells. The trailer looks interesting and worth watching. However, I will wait for the VOD release on August 26, 2016. Laura Fraser, Christopher Lloyd, and Max Records star in I Am Not a Serial Killer. Synopsis: "Sixteen-year-old John Wayne Cleaver (Max Records, Where the Wild Things Are) is not a serial killer--but he has all the makings of one. Keeping his homicidal tendencies and morbid obsessions with death and murder in check is a constant struggle that only gets harder when a real serial killer begins terrorizing his sleepy Midwestern town. Now, in order to track down a psychopath and protect those around him, John must unleash his darkest inner demons . Based on the cult novel by Dan Wells, this twisted, genre-bending thriller co-stars Christopher Lloyd and Breaking Bad"s Laura Fraser." Directed by Billy O"Brien and based on the novel of the same name by Dan Wells, I Am Not a Serial Killer stars Laura Fraser, Christopher Lloyd, Max Records, Karl Geary, and Bruce Bohne. 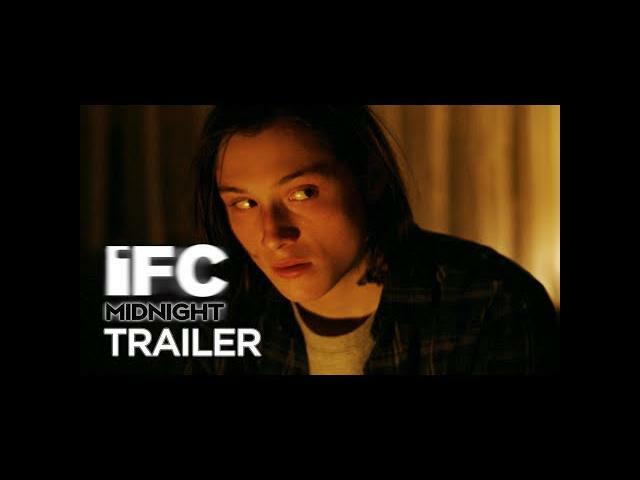 IFC Midnight will release the film in select theaters and on VOD on August 26th. Sixteen-year-old John Wayne Cleaver (Max Records, Where the Wild Things Are) is not a serial killer—but he has all the makings of one. Keeping his homicidal tendencies and morbid obsessions with death and murder in check is a constant struggle that only gets harder when a real serial killer begins terrorizing his sleepy Midwestern town. Now, in order to track down a psychopath and protect those around him, John must unleash his darkest inner demons. Based on the cult novel by Dan Wells, this twisted, genre-bending thriller co-stars Christopher Lloyd and Breaking Bad’s Laura Fraser.